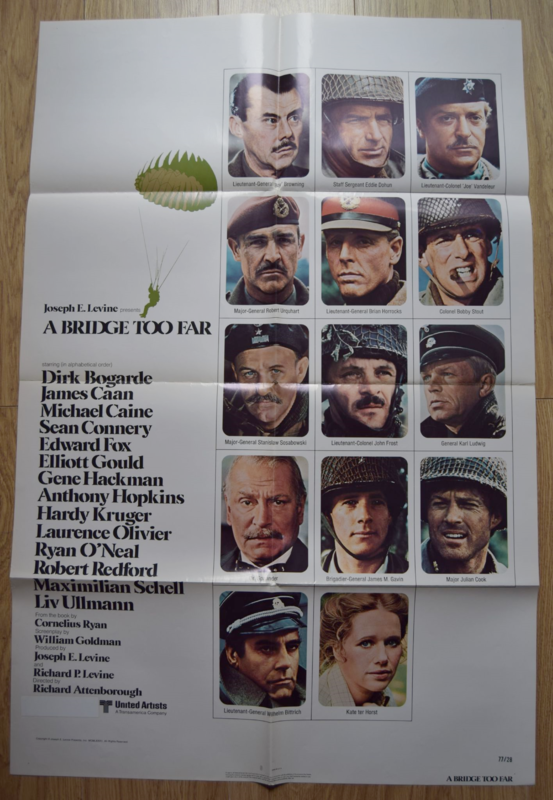 A Bridge too Far (Joseph E Levine Productions,1977) One Sheet 27"x41"
Historical War Drama about Operation Market Garden starring Dirk Bogarde, Sean Connery, Ryan O'Neal, Michael Caine and Gene Hackman. 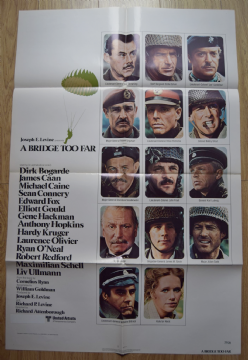 The poster has one very small fold separation. Very Good/Fine.